Leveraging Lincoln, the first of The Liberator Trilogy, is the 2016 Bronze metal winner in Christian Historical Fiction. Annabelle Ross has lost so much to the Civil War and now she faces the fear of losing the plantation that had been her family home for generations. Having nursed countless soldiers when the house was turned into a hospital, she's not surprised to find letters hidden in the patients' pockets, messages that need to reach their destination. A cryptic letter, however, leads her into a quagmire of espionage at the losing end of the war, a war that no one can really win when so many lives have been lost and so many families split by divided loyalties. And now the life of President Lincoln is at risk and Annabelle finds that she is caught in the middle of the plot. The subplots are intriguing as well, like the plan to wed Annabelle against her wishes to her step-mother's brother. 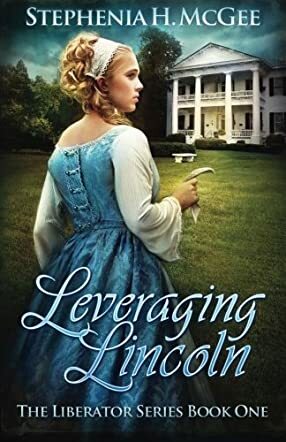 Stephenia H. McGee's novel, Leveraging Lincoln: A Civil War Novel (The Liberator Series) (Volume 1), is the first in a series that finds Annabelle and her co-conspirator-turned-love, Matthew Daniels, caught up in espionage and subterfuge to eliminate President Lincoln. The story is well constructed with good characterization and lots of descriptive passages. In fact, it's quite the page-turner. The only disappointment is that the well developed plot really has no resolution. Otherwise, this is a powerful tale of survival in the southern states at the end of the American Civil War. Overall, a great read.